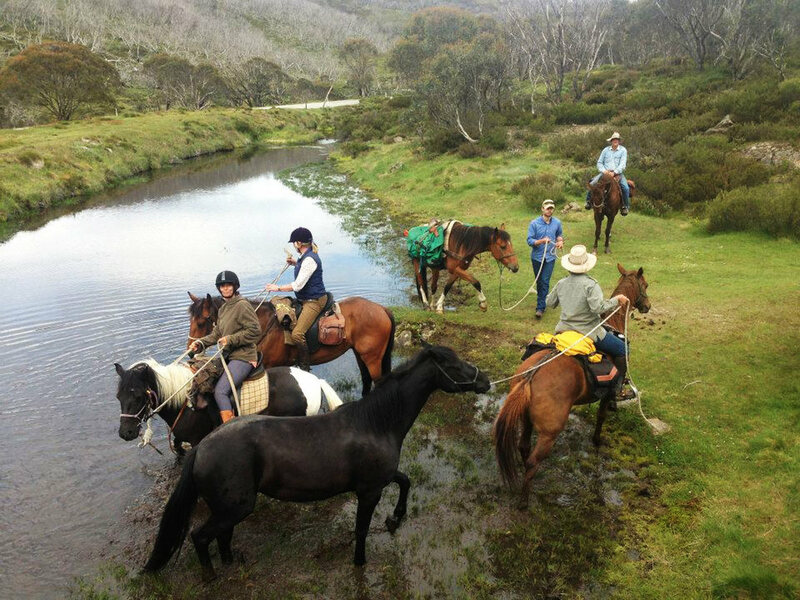 If you dream of turning off your phone, saddling up and heading out into the Victorian High Country then this experience could be just the ticket. There are around 75 horses on Helen’s mountain property and she uses natural horsemanship methods to build trust with and train her even-tempered, big-hearted horses. She knows their personalities inside out and is a skilled match maker. So, whether you’re a novice or an experienced rider, she’ll find a horse that you’ll love. She’s also pretty handy in the kitchen and will send you both on your way with a packed lunch to enjoy on the trail. Rides are led by seasoned guides who will brief the group before departure and provide instruction for beginner riders. Rides will be taken at the pace of the least experienced rider in the group. However, more accomplished riders in the group may be able to break away to go a bit faster (depending on terrain, group size and guide numbers). Disabled riders can also be catered for. As a stroke survivor, Helen Packer understands the needs of riders with additional needs and can organise horses and rides accordingly. However, adequate notice is required and you are encouraged to phone well in advance of your planned visit so the team can make arrangements. Cancellation Policy: Receive a 50% refund (minus service fee) up until 1 week prior to the booking start date. 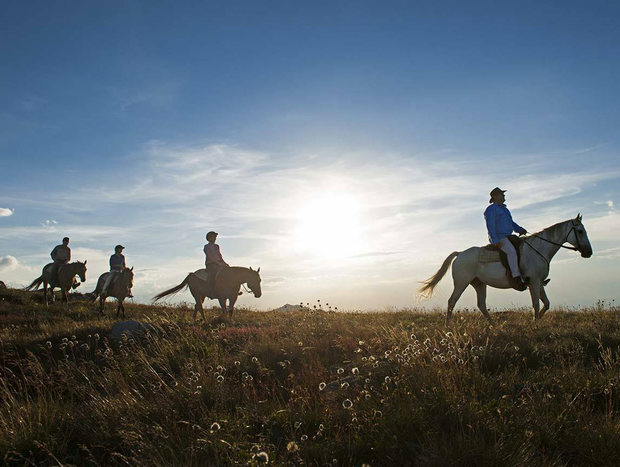 Horse riding treks are available from September till mid-June due to seasonal conditions. Rides generally start at 9.30-10am and return around 4ish. Times may vary accordingly to weather conditions at the time and to suit customers’ schedules. This adventurous day ride starts and ends at Helen’s rustic homestead called The Willows. Located in the ruggedly beautiful Bundarra Valley, there is a range of bed and breakfast or self-contained accommodation available. So, if you’re after a tasty meal, hot shower and comfy bed before or after your ride, you’ll be well catered for. 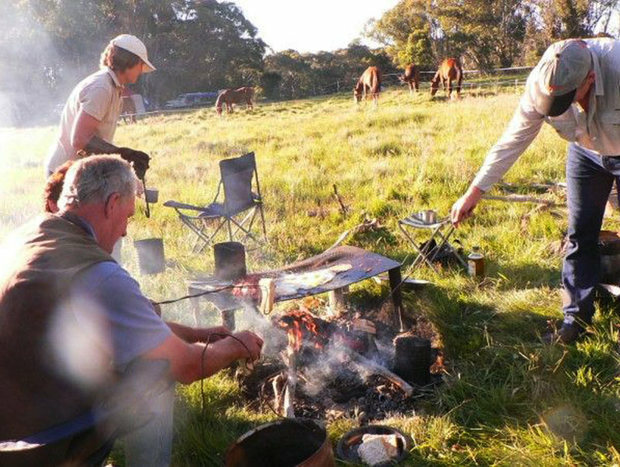 Whether you want to stay in a historic cattleman’s hut or the rustic guesthouse, there’s a choice of accommodation to suit all budgets and group sizes. Please wear comfortable long pants, a long-sleeved shirt and closed toed, flat soled shoes. We encourage you to bring your own waterproof gear but can supply oilskin coats for rainy conditions if needed. Current Australian Safety Standard 3838 helmets are supplied and these must be worn by all riders. If you don’t wear a helmet you don’t ride. Riding chaps and a limited range of riding boots are also available for loan. Riders are asked to sign disclaimer forms before riding. Riders under the age of 18 must have a parent or guardian sign for them. Be aware that you are participating in a high-risk adventure activity and that you are taking responsibility for your own decisions and actions. It is strongly recommended that you have ambulance cover and appropriate insurance. First aid and mobile communications are carried on our rides. As rides go into remote areas a reasonable level of fitness is recommended.